At Curtis Plumbing, we are certified by LA County and Ventura County for the testing, repairs and certification of all your plumbing backflow prevention devices. Call us today to have your testing and repairs done by a certified plumbing professional. The term backflow means any unwanted flow of used or non-potable water or substance from your home or business piping system into the pure, potable water distribution system. The natural flow of your plumbing is obvious. Clean filtered water comes in, and bad used water goes out. When there is a plumbing backflow problem the direction of flow is in reverse. There are numerous causes for backflow plumbing, however, the most common problem is due to a loss of water pressure in your plumbing system. If your plumbing has a backflow problem there are a number of potentially hazardous problems that can arise. The worst of course being, the water that you use on a daily basis is now contaminated due to your plumbing backflow problem. Backflow is obviously not an easy fix with a plunger and be on your way kind of problem. 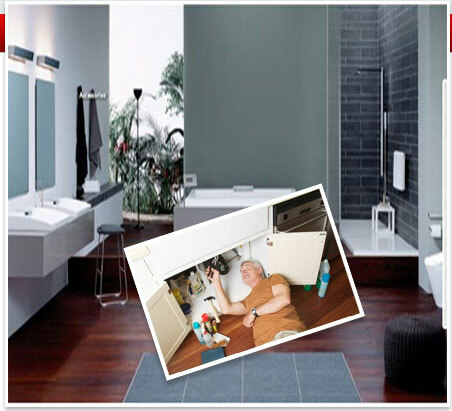 It’s a serious issue that can get worse overtime if untreated by plumbing professionals. If you suspect that you have a backflow problem, call Curtis Plumbing immediately. 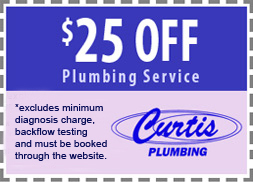 Curtis Plumbing offers 24/7 on call plumbing specialists that are on call and standing by to help.